HOW TO VISIT THE MUSEUM? TO SCHEDULE YOUR TOUR OR INQUIRE ABOUT DATES AND AVAILABILITY, PLEASE CONTACT DEBBIE LONG AT DLONG@SBCMS.ORG or 909-273-6000 ext 105. In this day and age, most of us are accustomed to seeing a doctor or ordering prescriptions whenever we need to deal with illness or chronic conditions or just to maintain our health and quality of life. 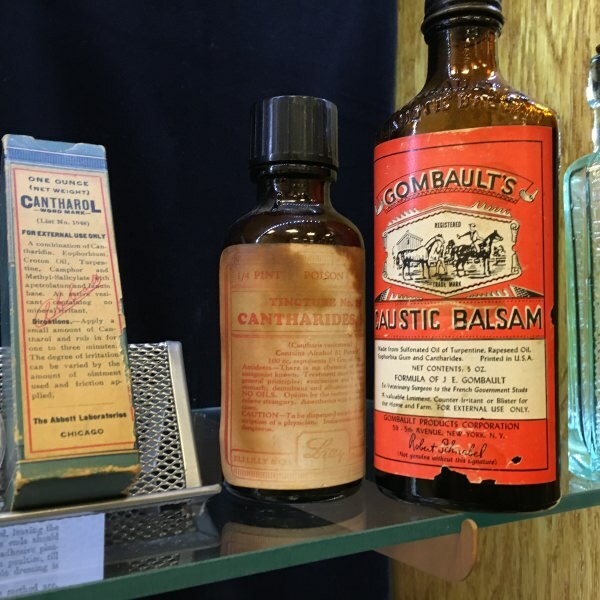 A tour of the Southern California Medical Museum gives you a glimpse into what life was like in past centuries and early historical eras, particularly in the areas of healthcare and medicine. The advancement of medical care and technology has dramatically increased the way we live our lives and how we are treated for illness. Our Museum exhibits offer an up close and personal view of this evolution in medical care throughout the history of healing. Displays and exhibits include: fascinating medical, dental and pharmacy artifacts, wartime surgery kits, an impressive medical library, medical artwork and photographs, rare and antique bottles that were used to hold and dispense salves, pills, powders and elixirs, unusual and often hard to believe quackery devices, a diorama recreation of a doctor’s and dentist’s office from the early 1900’s and numerous other special exhibits. Museum tours teach, entertain and reinforce the legacy, culture and history of healing and medicine dating back to ancient times and spanning the ages to the current day. Many schools have incorporated our Medical Museum tours into their curriculum as a valuable part of the student learning experience. Educational and truly enlightening tours are available by appointment for groups, clubs, professional trade schools, career and medical colleges, corporate gatherings and organizations of all sizes as well as for families and individuals of all ages. Knowledgeable docents (tour guides) will take your group on an adventure through medical history and scientific developments.